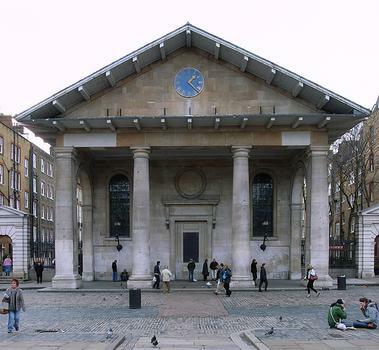 The St. Paul's Church on the Covent Garden Piazza was designed by Inigo Jones in the Tuscan Order of architecture in the 17th century. The St. Paul's Church on the Covent Garden Piazza was designed by Inigo Jones in the Tuscan Order of architecture in the 17th century. It is located a short distance from Deptford train station, which opened in 1836, and is not only the oldest railway station in London but also the oldest suburban station in the world to survive on its existing site.